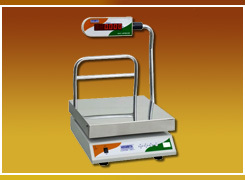 We have become one of the leading manufacturers and exporters of balanced Industrial Scales and Retail Weighing Machines. We provide practical and competitive solutions for the Weighing Scale requirements. 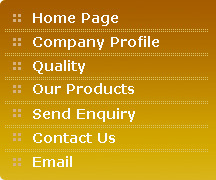 Our company is known for high quality and innovative product range coupled with committed services. Quality is the corporate mantra. We ensure that quality is maintained at all levels of our organization. Apart from laying emphasis on the quality of the products, we also lay an equal emphasis on timely delivery of our consignments to all our clients all over the world. Each piece is individually inspected meticulously to ensure that it meets the desired quality standards. It always believes in best quality with comparative price. 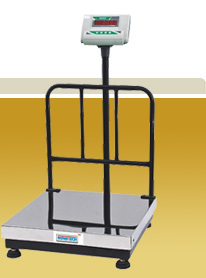 The company's products command a grade acceptability in Weighing Scale Trade.